Happy Catholic Book Club Wednesday everyone! 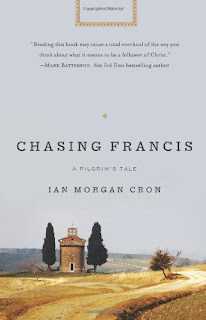 And this month we have a particularly fascinating title: Chasing Francis by Ian Morgan Cron. I downloaded this book for my Kindle due to a sale advertisement, and when I did so, I was under the impression that it was a spiritual memoir dealing with Franciscan spirituality from a non-Catholic Christian perspective. Want to know something interesting? It is the latter, but it is *not* the former. Confused? :) This is actually a fiction title, but written in the style of a non-fiction, spiritual memoir. Ingenious! Frankly, I wish I had thought of this idea, I like it *that* much! ;-) I was very much looking forward to reading how the author presented this format, and the fact that he is an Episcopalian priest made the book all the more interesting to me. I think that it is valuable to read from a number of different Christian perspectives, and given that he was writing about St. Francis and Franciscan spirituality, I was intrigued. All right, off we go! What happens when the pastor of a mega church loses his faith? Pastor Chase Falson has lost his faith in God, the Bible, evangelical Christianity, and his super-sized megachurch. When he falls apart, the church elders tell him to go away: as far away as possible. Join Chase on his life-changing journey to Italy where, with a curious group of Franciscan friars, he struggles to resolve his crisis of faith by retracing the footsteps of Francis of Assisi, a saint whose simple way of loving Jesus changed the history of the world. Read this riveting story and then begin your own life-changing journey through the pilgrim’s guide included in this powerful novel. Great premise, yes? And overall, I really liked the book. This is the first book for this author, and indeed, it does show in some ways. There are instances of "telling" rather than "showing," especially at the end of the book where we read Chase's sermon to his congregation in word-for-word detail. My attention tends to wander in such monologue situations. As a reader, I do not enjoy them. That being said, I did not find this to be a pervasive problem, and I found myself quite engaged in the story throughout. The beginning of the book had me hooked. Reading about Chase's crisis of faith, and how his congregation reacted to it held me at rapt attention. His trip to Italy to meet up with his Franciscan friends was absolutely delightful. There is a romantic subplot (who will he choose?!) that is very sweet. A little predictable, but hey. I read a LOT of romance novels, and every single one of them is predictable in that sense, so no judgement there. I also loved Chase's exploration of Franciscan spirituality, and journey of self discovery about his own faith. I laughed aloud at some of his scenes with the humorous Franciscan friars. Towards the end of the book, I found that the plot lost a bit of steam. Certainly, I was interested to see what was going to happen with Chase's church and his faith. That's all good stuff. But something about the narrative lost its sense of wonder, if that makes any sense. There were more of the aforementioned monologue sequences as the book wore on, that was part of it. I enjoyed the beginning and middle of the book more than the end, I suppose is a way of summing it up. I also had one Catholic quibble with this book. :) And granted, it's written by a non-Catholic, so that is understood. But the Catholic characters in this book encourage Chase, a non-Catholic, to receive the Eucharist at Mass. I certainly don't want to make anyone feel excluded at the liturgy, I think it's wonderful that non-Catholics enjoy the Mass. Please, come! We want you. :) But there are theological differences there, and that is the reason for the doctrine surrounding the Eucharist. I'm looking at this from a Catholic perspective, and the author is approaching it from a non-Catholic viewpoint, and so it's certainly of value to try and see things from the others' perspective. I liked this book, and I think it is well worth your time to read. 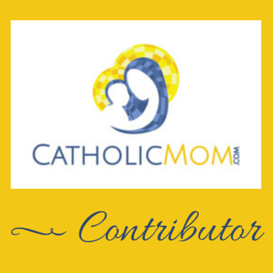 Sweet anecdote: Someone who read and thoroughly enjoyed Chasing Francis found this blog when he was searching for more information on the author, since it has been on my book club reading list. He sent me a tweet saying that he is a former Catholic, and after reading this book, is, for the first time in years, thinking about the Catholic faith again. That really touched me. Books like this can move hearts and minds. That is indeed a beautiful thing. What did you think, dear reader? I so enjoyed this foray into Franciscan spirituality that I chose another Franciscan title for October, given that it's the month of St. Francis's feast. :) Next month we will read When St. Francis Saved the Church, by Jon M. Sweeney. I have a print copy that I found when over at Ave Maria Press's web store picking up the new Sacred Reading book. So, a tip that you can get When St. Francis Saved the Church in hardcover at Ave Maria Press for a sale price of $10, if that appeals to you. "The church is realizing there is an awareness of God sleeping in the basement of the postmodern imagination and they have to awaken it. The arts can do this. All beauty is subversive; it flies under the radar of people’s critical filters and points them to God. As a friend of mine says, ‘When the front door of the intellect is shut, the back door of the imagination is open.’ Our neglect of the power of beauty and the arts helps explain why so many people have lost interest in church. Our coming back to the arts will help renew that interest." Me too! I was so surprised a few pages in to figure out it was "wisdom literature." Ben! I'm so glad that you wrote in! I was hoping that you were going to. :) You really inspired me to keep at the book club, because sometimes time gets limited and I think about discontinuing with reading the titles on my list. But your enthusiasm for the book guaranteed that I wouldn't slack off. I really like the points you raise about the tie-in in this book to the arts. That really resonated with me because of my love for dance. I enjoyed that part of the book, but in my review neglected to mention it, so I'm so glad to have your perspective included here! And I think that this is so true, that the arts speak to a higher beauty, to the divine, and for many people that is how they seek and find God. As for romance fiction, I admit to reading very schmaltzy stuff. :) I read a lot of serial romances under the inspiration umbrella, so Harlequin Love Inspired and Love Inspired Suspense. I also read a TON of Amish fiction. I'm not fully certain why I love those books so much, but I do. I think the lifestyle appeals to me even if the theology is somewhat different from mine.